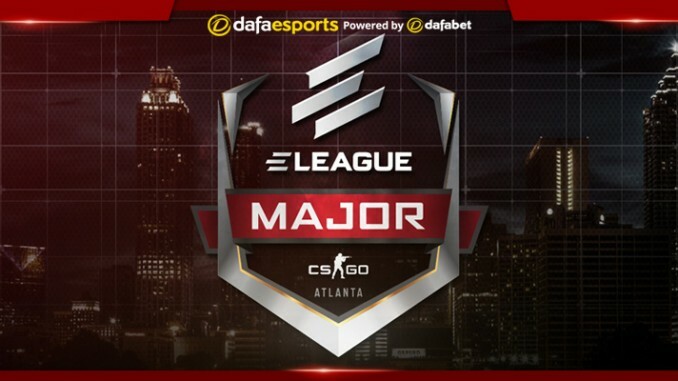 A share of a $1million prize pool is on offer in the ELEAGUE Major 2017 tournament in Atlanta as 16 top teams meet at the Fox Theatre. Eight qualifiers from ESL One Cologne 2016 will be joined by eight more offline qualifiers in what sets up to be a highly entertaining event. The Danes of Astralis enter the ELEAGUE Major as the favourites. Ever since the addition of gla1ve as their in-game leader in October, Astralis have risen to the upper echelons of Counter Strike. In the three tournaments Astralis have played since gla1ve’s acquisition, the team have finished in 3rd/4th place at IEM XI Oakland, 2nd in the ELEAGUE Season 2 and 1st in the ECS Season 2 Finals. The X-factor for Astralis is surprisingly not superstar dev1ce, but instead rising star Kjaerbye. When originally traded to Astralis from Dignitas, Kjaerbye was heralded as the missing star that Astralis needed to take them over the edge, but the 18-year-old Rifler never seemed to flourish in the old Astralis line-up with karrigan at the helm. However, he has been the most improved player since the introduction of gla1ve and this needs to continue if Astralis are going to make a run at the championship. The Polish powerhouse of Virtus.pro will hope to carry the momentum from the second half of last year into the first Major of 2017. Virtus.pro were widely accepted as the best Counter Strike team in the latter half of 2016, with only a few more recent results blemishing their record. Wins in ELEAGUE Season 1 and DreamHack Bucharest mid-year highlight their quality. The Poles will look to use their patented aggression to carry them deep in the Major. One major advantage for Virtus.pro coming into ELEAGUE is the familiarity among the five members of the team. This line-up has not only been in effect since the start of 2014, but also has maintained the same brand/organization throughout its time in the Counter Strike scene. With a myriad of teams going through either an organizational or player based transition, look for a polished and experienced Virtus.pro outfit to make waves at ELEAGUE. One of the more difficult teams to place at the ELEAGUE Major are the Eastern Europeans of Na’Vi. They ascended to become one of the top teams in the world with the addition of s1mple to their lineup in August, although it did take time to find the right play style for the squad. The most puzzling move for Na’Vi was putting seized as the second AWPer (or sniper) for over a month before giving that role to s1mple, who then dominated. With roles finally set, Na’Vi went on to win ESL One: New York in October over the team many considered the best in the world; Virtus.pro. It was anticipated that Na’Vi would then dominate the final couple of months of the year, but this simply has not been the case. Ever since New York Na’Vi have made zero noise at international level, despite the five players who were so dominant a few months ago still being on the roster. If everything clicks for Na’Vi they can beat anyone in a best-of-three, yet their lack of discipline at times could cause an early round exit. With little expected of Team Liquid, North America’s hopes in Atlanta will rest on the shoulders of OpTic Gaming. OpTic had a fantastic end to 2016, winning both the Northern Arena Montreal and ELEAGUE Season 2 events before placing 2nd at the ECS Season 2 Finals. The X-factor for OpTic is entry fragger (or player) RUSH, who has been consistently excellent in OpTic’s rise. Very similar to Stewie2k at Cloud9, RUSH opens up space for the rest of the team to operate, giving stars like mixwell and tarik the ability to put up incredible numbers. RUSH has the chance to be one of the breakout players of 2017, and his first step to earning that achievement could take place in Atlanta. Astralis, Virtus.pro, Na’Vi and OpTic Gaming should be the ones to watch then, but the wild card could be SK Gaming. The Brazilians have recently replaced fnx with fox out of Portugal as a stand in, but there is little indication as to how this will impact their play. All in all then, with the aforementioned five teams, it sets up to be a fascinating first Major tournament of the year.